Last month, we discussed some ways that the smartphone has radically changed every aspect of teenagers’ lives, from the nature of their social interactions to their mental health. Studies have shown that the “iGeneration” — those born between 1995 and 2012 — is the first generation that has grown up with smartphones and do not remember a time before the Internet. Millennials also grew up with the Internet, but it wasn’t as ever-present in their daily lives, or accessible within the palm of their hand at all times of day or night. Some of the interesting trends attributed to the smartphone include a significant drop in the number of teens that are getting their driver’s license, dating, and getting a job. It appears that they prefer to stay in their rooms and Facetime or Snapchat with their friends rather than have face-to-face interactions. 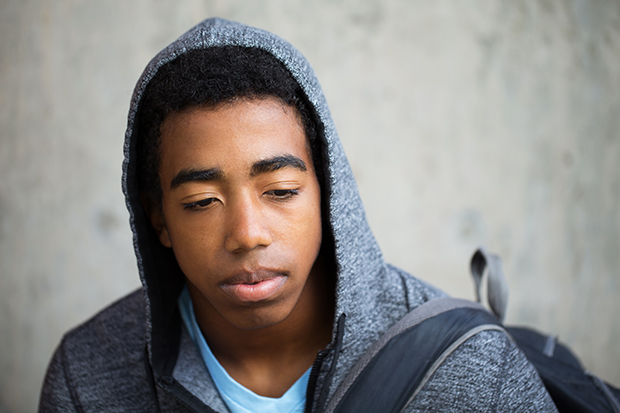 The most serious trend is that the rates of teen depression and suicide have skyrocketed since 2011. There is compelling evidence that the devices we’ve placed in young people’s hands are having profound effects on their lives and making them extremely unhappy. Recent data suggests that teens actually have more leisure time than previous generations. So, what are they doing with all that time? They are on their phone, in their room, alone and distressed. Teens today often comment how they actually spend more time on their phone than with actual people. They laugh when commenting how their bed has an imprint of their body on it. Research supports this isolation trend and shows the number of teens who get together with their friends nearly every day dropped by more than 40 percent from 2000 to 2015. This decline has been especially steep recently. Places where they used to go and hangout or be with friends such as the park, mall, parking lots, friends’ houses, or Inspiration Point have all been replaced by virtual spaces accessed through apps and the web. You might expect that teens spend so much time in these new spaces because it makes them happy, but data suggest that it does not. The Monitoring the Future Survey, funded by the National Institute on Drug Abuse, has asked 12th graders more than 1,000 questions every year since 1975 and queried 8th and 10th graders since 1991, across the United States. The survey asks teens how happy they are and also how much leisure time they spend on various activities, including non-screen activities such as in-person social interaction and exercise, and screen activities using social media, texting, and browsing the web. The results could not be clearer: teens who spend more time than average on screen activities are more likely to be unhappy, and those who spend more time than average on non-screen activities are more likely to be happy. The data showed that all screen activities are linked to less happiness, and non-screen activities are linked to more happiness. Eighth graders who spend 10 or more hours a week on social media are 56 percent more likely to say they’re unhappy than those who devote less time to social media. Those who spend an above average amount of time with friends in person are 20 percent less likely to say they’re unhappy than those who hang out for a below-average amount of time. Recent research suggests that screen time, in particular social-media use, does indeed cause unhappiness. Eighth graders who are heavy users of social media increase their risk for depression by 27 percent, while those who play sports, go to religious services, or even do homework more than the average teen cut their risk significantly. Teens who spend three hours a day or more on electronic devices are 35 percent more likely to have a risk factor for suicide, such as making a suicide plan. It became clear that the more time teens spend looking at screens, the more likely they are to report symptoms of depression. If you were going to give advice for a happy adolescence based on this survey, it would be straightforward: put down the phone, turn off the laptop, and do something —anything — that does not involve a screen. 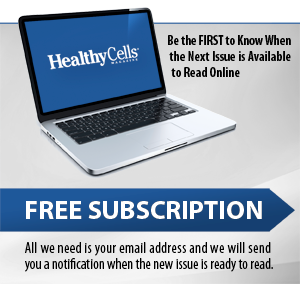 If you missed the first article in this series, you may read it online www.HealthyCellsBN.com, or contact Cheryl at 309-664-2524 or Ceash7@gmail.com. For more information or to schedule a consultation, please contact Agape Counseling at 309-663-2229. They are a group of Christian counselors, social workers, psychologists, and support staff committed to a therapeutic process which ministers to the whole person. Their Bloomington office is located at 211 N. Veterans Parkway, (next to Krispy Kreme). They also have offices in Peoria and Morton. Visit them online at www.agapecounselors.net.